The place where the world cross and get together. When the best part of 'LIFE'such as culture, language and nationality join together, new surprising and exciting experiences with tourists from all over the world are yours for the taking. A trendy Bar & Lounge filled with good music and a gallery space where you can freely express yourself as well. A space consists of wood, green and iron.A new culture spot has just opened in Hakata where different cultures have joined together historically.An adjacent company "The company" provides a working space and will give a lifestyle of " Staying" "Enjoying yourself" and "Working" to the world.Every day can be Friday. Please enjoy the space filled with " The world" including diverse cultures and people in the world.Life is wonderful. 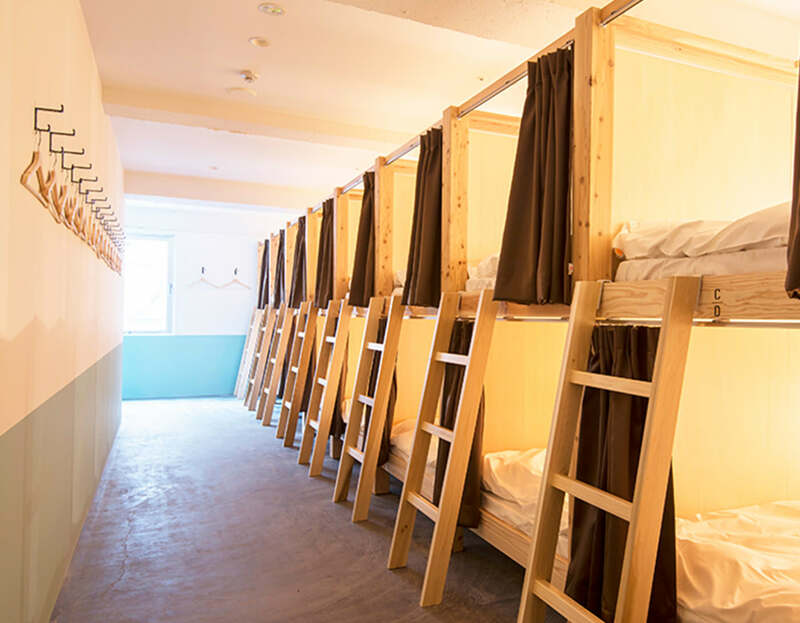 - A dormitory is for 4, 8, 16, 18 persons. 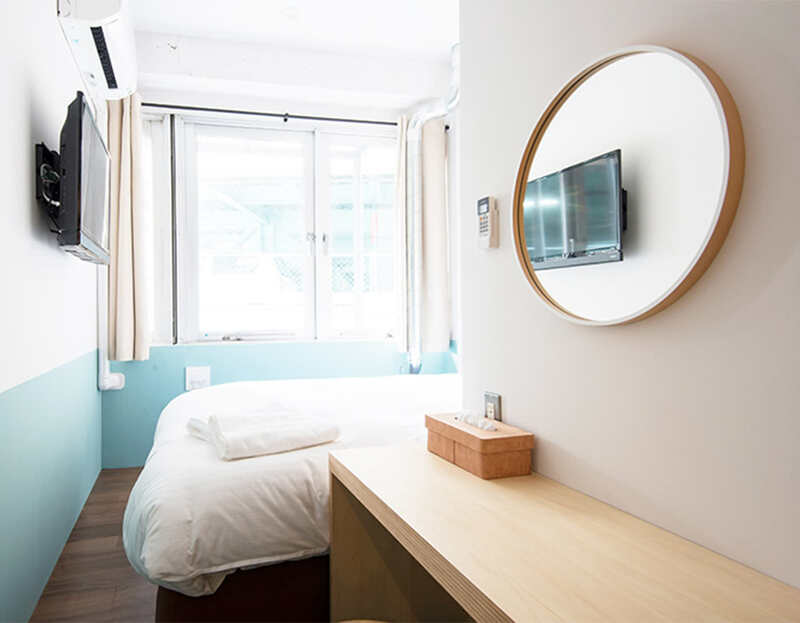 - The room with full-length mirror is only for famale and it is for 6 or 10 persons. 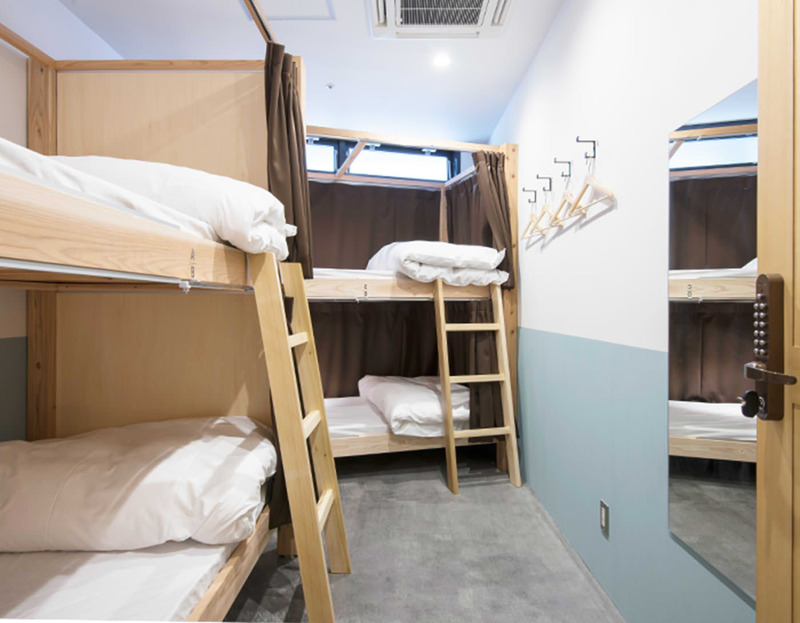 *The female dormitory for 10 persons does not have a shower and washing stand. - The room is fully equipped with a double-size bed, an air conditioner, a shower booth, a toilet, a washing stand, TV. - The room is fully equipped with a queen size bed, an air conditioner, a shower booth, a toilet, a washing stand, TV. 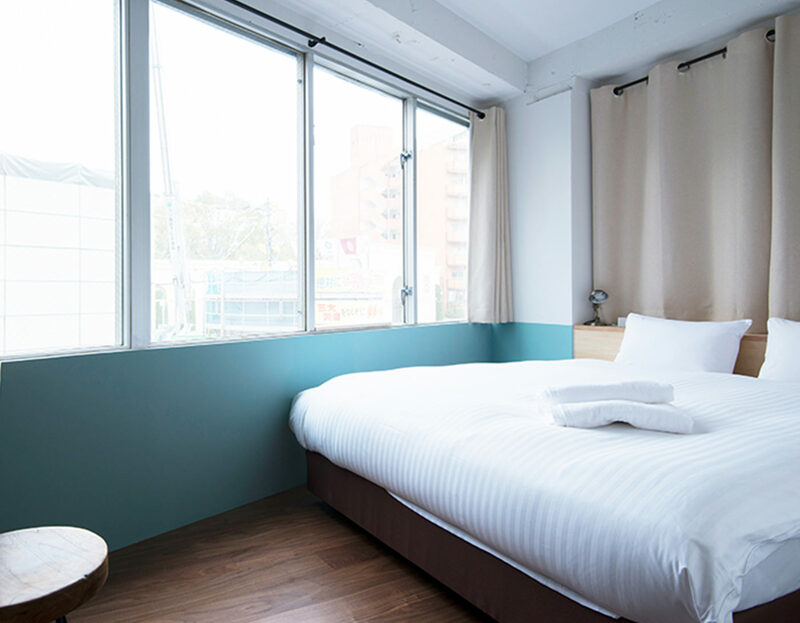 - The room is fully equipped with a king-size bed, an air conditioner, a shower booth, a toilet, a washing stand, TV. - It is avairable to stay in a room only with group or family. 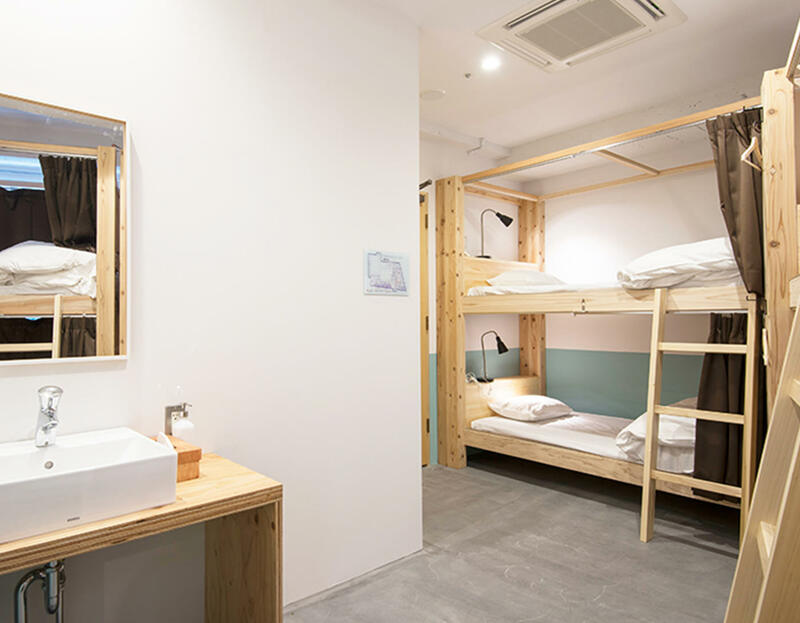 It is equipped with a shower booth and a washing stand. 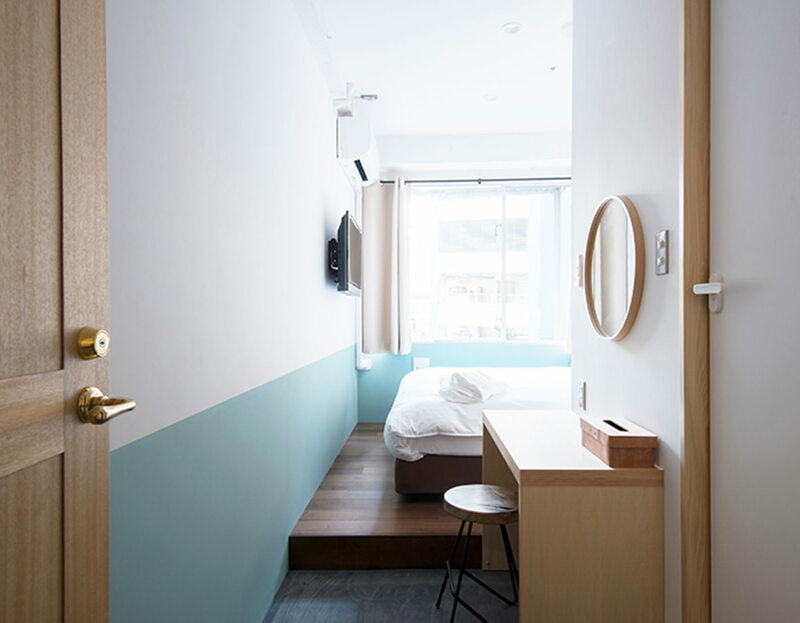 This space is open to both hostel guests as well as the general public.Equipped with a state of the art sound system and DJ booth, visitors can look forward to meeting an array of international guests while enjoying great food and drinks. We invite you to immerse yourself in the diversity of cross cultures where language is no barrier. The best mordern and fusion cuisines.We have vegan noodles and halal meals. Couse dinner is available (booking required). We have various kinds of beer from overseas and kyushu original sake&cocktails. Cheers for your new experience with great buddies! © THE LIFE HOSTEL & BAR LOUNGE. All right reserved.